The biggest learning experience I received in Japan comes from the destruction caused in Hiroshima, Japan on August 6, 1945 during WWII by the US. I’ve heard stories about it, but I never realized (and still never will) the true devastation caused on this day and the following effects until we visited the Peace Museum. It didn’t really hit home until I saw images of people with their skin coming off, both from burning and radiation. That image alone was enough to upset me (or anyone I would imagine) and the stories of what happened, I find it heartless that no one was meant to be spared, not even children. On the flip side, I find it admirable that the Japanese people as a whole don’t see the U.S. responsible and seek vengeance, but rather see it as a global issue that must not be repeated. My favorite part of the museum was the letters written by the mayor of Hiroshima pleading with any country that planned to hold nuclear testing, no matter who or where, to cease their nuclear efforts. 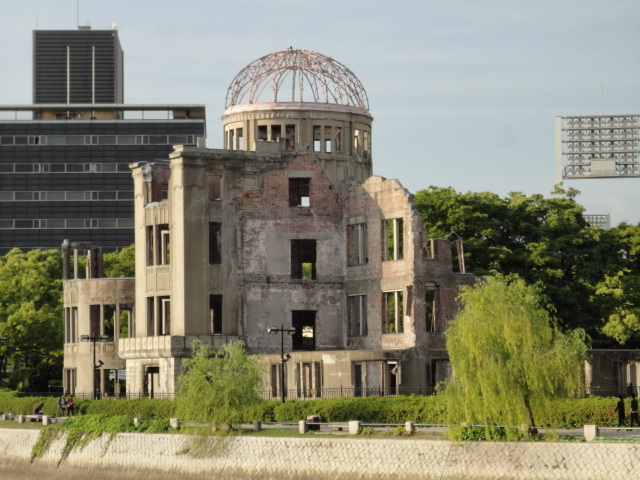 The determination showed by the mayor of Hiroshima and the lack of animosity (at least public anyway) is proof that the nuclear bombings that occurred on that day must NEVER happen again.